In his cover of the Vaselines' song, Kurt Cobain asks his girl, "Where did you sleep last night?" Her retort is something that all of us "Wetsiders" can identify with: "In the pines, in the pines, where the sun never shines, I shivered the whole night through." This is the life of those of us living on the side of the Washington Cascades where it's wet somewhere between 9 to 10 months out of the year. There's a definite draw to this verdant oasis and after eight years of living here I can truly say I love it. That does not mean that from time to time there's not a longing to escape this second coming of Kevin Costner's Waterworld. I mean, is dry land a myth? Sometimes it feels that way. There are ample options for outdoor enjoyment once we crest over that pass; from skiing and snow sports in the winter to outdoor exploration and recreation in the spring. 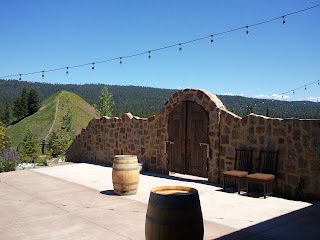 Winemaking duties are handled by consultant winemaker Tony Rynders, formerly of Domaine Serene, and Linda Trotta, the in-house winemaker who came from California's Gundlach Bundschu. Both bring a wealth of experience in winemaking and Tony has a vast working knowledge of the Northwest, particularly regarding varietals and site. 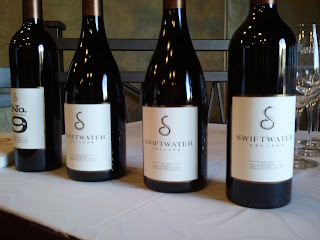 Tony's experience and reputation at Domaine Serene make him an enormous asset for Swiftwater Cellars as they establish themselves and Linda brings considerable experience from Gun Bun where they were known for producing a great variety of wines in the Sonoma Valley including California signatures Zinfandel and Pinot Noir. The team will work together, and has been since 2007, building a catalog of varietals, blends and sourcing the fruit they want to make the wines they're aspiring to make. 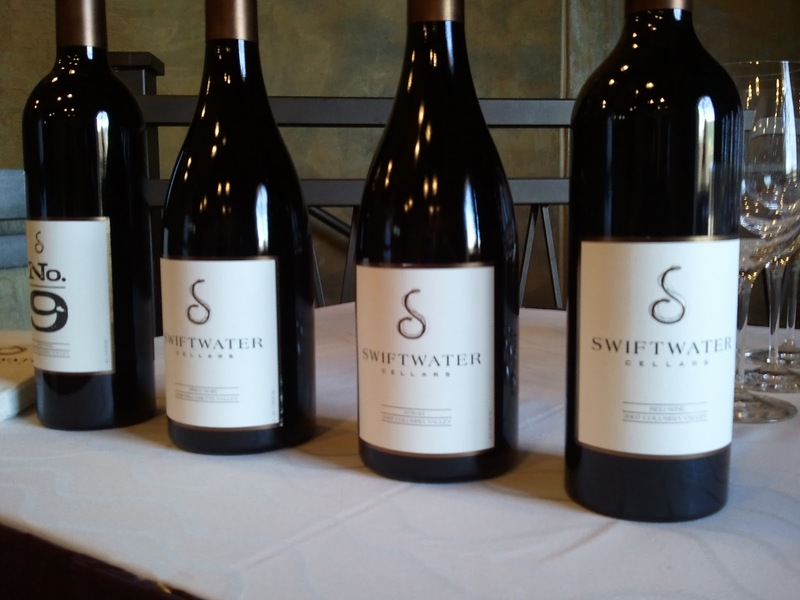 Their current releases are numerous, tiered, and varied and they demonstrate a true comprehension of what Northwest fruit is really capable of. The Zephyr Ridge vineyard is a holdover from Don's days of working with Hogue and Chateau Ste. Michelle. The Zephyr Ridge site is becoming more established and that excites Tony and Linda. While never intended to be a boutique production site, the age of the vines and the potential coupled with the right vineyard management could blossom into the red fruit and good acidity that they're looking for. As it stands the Zephyr Ridge site produces big tannins, evident in a 2010 Merlot Barrel sample that came on with loads of blueberry and spice. They're excited about an estate plot that will really show itself over time and has such historical significance for the Watts family. 2010 No. 9 Riesling ($18) is made from three rows of Olsen Estate fruit. It is made in an off-dry style and the touch of residual sugar adds a sweetness to the acidity for a very nice example of Washington Riesling. The wine has aromatics of apricot, melon rind and lemon peel. Across the palate there's a fair bit of minerality, and loads of Granny Smith apple. The 2009 No. 9 Chardonnay ($20) is of the oaky variety, which is not a style that I prefer. Having said that, it's well done if you like that kind of Chardonnay and plenty of folks do. Super rounded and with loads of body this Chardonnay coats the mouth with toasted hazelnuts and vanilla yet not much in the way of fruit character. The 2009 No. 9 Pinot Noir ($30) is sourced from 9 Willamette Valley vineyards and it's a classic example of the varietal from what I believe to be the world's greatest place to grow it. The hot vintage of 09 is evident in the 14.7% alcohol but the wine is so well balanced that all you get are the classically Oregon aromatics presented in an incredibly vibrant wine. 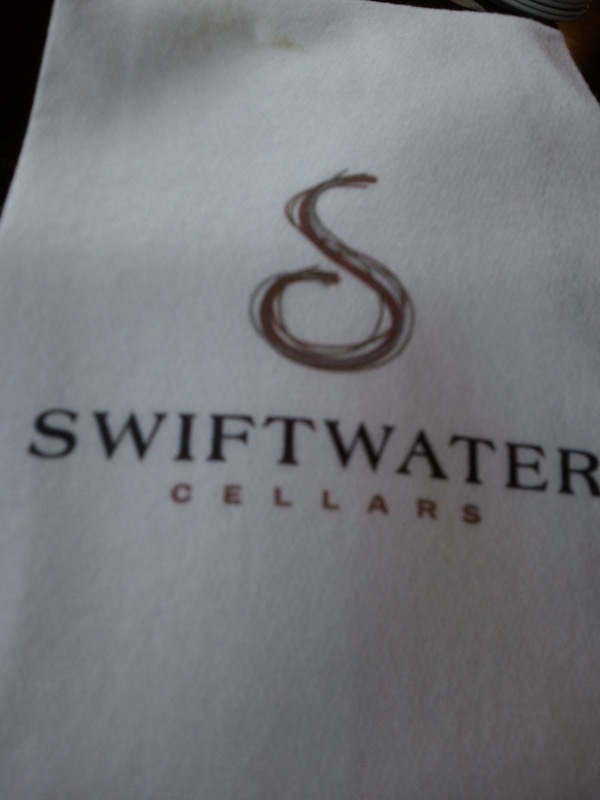 The Swiftwater Proprietary Red 2007 ($50), demonstrates impressiveCabernet aromatics, red fruits and spices. The blend of Cabernet, Cab Franc, Merlot, Petit Verdot and Syrah carries its 68% new oak really well. Touches of spice, cedar and vanilla mingle really well with the red currants, cherries and raspberry character. The Swiftwater Pinot Noir 2008 ($55) is much denser and broad shouldered than its No. 9 cousin. The aromatics are certainly from the Willamette Valley with their fresh fruit and earthen characteristics but the palate is a bit more influenced by the new oak. Big thick and fleshy cherries and huckleberries along with a hint of tobacco and spice.